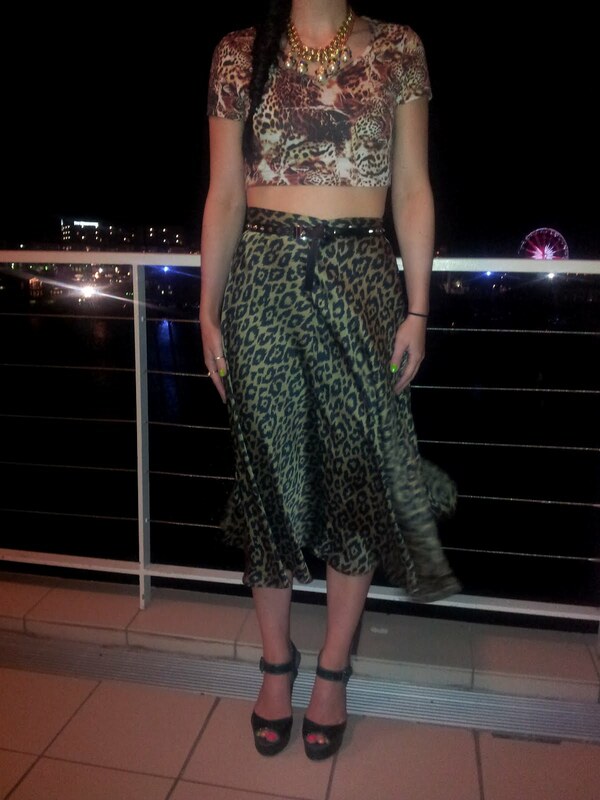 Silk midi leopard print skirt: Topshop. 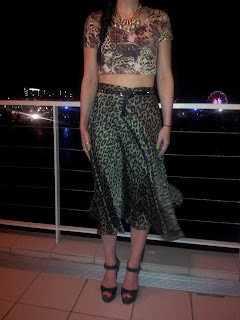 Cheetah print cropped top: Topshop. Stud belt: Stolen from my wee sister. Bauble necklace with giant pearls: Boutique by Susan Caplan. Green glitter platform heels: ASOS.